Update: More in stock today! Need Sugar-Free Gum? Stock up on Amazon! Hurry and get the Stride Sugar Free Gum Spearmint 14 Count (Pack of 10) today for as low as $4.50 from Amazon! THat’s just $.45 per pack – way less than the checkout lanes in stores! This is the best price ever on Amazon. Be quick since this is a limited time Warehouse Deal, and there is currently no limit. These deals can be short dated or overstock. Check out all of the Amazon deals here! Get fresh breath and long-lasting flavor with Stride Sugar Free Gum. Stride Gum keeps its texture and great taste thanks to the right balance of unique ingredients, flavors, and sweeteners. Sugarless Stride Gum has 30% fewer calories than traditional gum. The refreshing blast of Spearmint flavor will keep you going at work, school–and everywhere else. 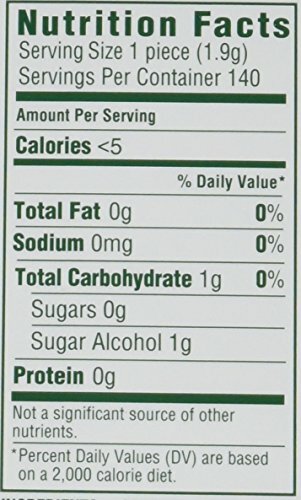 Buy the Stride Sugar Free Gum Spearmint 14 Count (Pack of 10) from Amazon. Previous articleBatiste Dry Shampoo, Wild Fragrance – Super Low Price Deal!